If you've not been into the Mitsuwa Marketplace lately, you'll hardly recognize the place. Santoka is still there, serving what is still arguably the best bowl of ramen outside of Japan, but more than half the food court surrounding it has been remodeled to make way for three new purveyors. The Loft Hawaiian took over the spot previously occupied by Sanuki Udon. And where Maestro used to serve curry, now there is Sanukiseimen Mugimaru, which seems like it's an even better udon restaurant set on bionic overdrive. Next to that, and possibly employing workers on the same payroll, is Don Don Tei, which takes the spot where Italian Tomato used to be. It serves donburi, and it does it reasonably well. I say "reasonably" because while I've slurped many a bowl of ramen, I've not exactly been searching for or given much thought about what constitutes the best donburi. Donburi is simply just a rice bowl. If you've been to Yoshinoya or The Flame Broiler, you've technically had donburi. But there's more to the classification than just that. When I have donburi, it's usually an oyakodon (a chicken and egg rice bowl of comfort), or a katsudon (a deep fried pork cutlet over rice). I've tried the latter here and it's good, dutiful, even if it is kind of forgettable like all other katsudons I've had in my life. For me, the revelation is the tendon . No, not cartilage (think of the Japanese pronunciation). 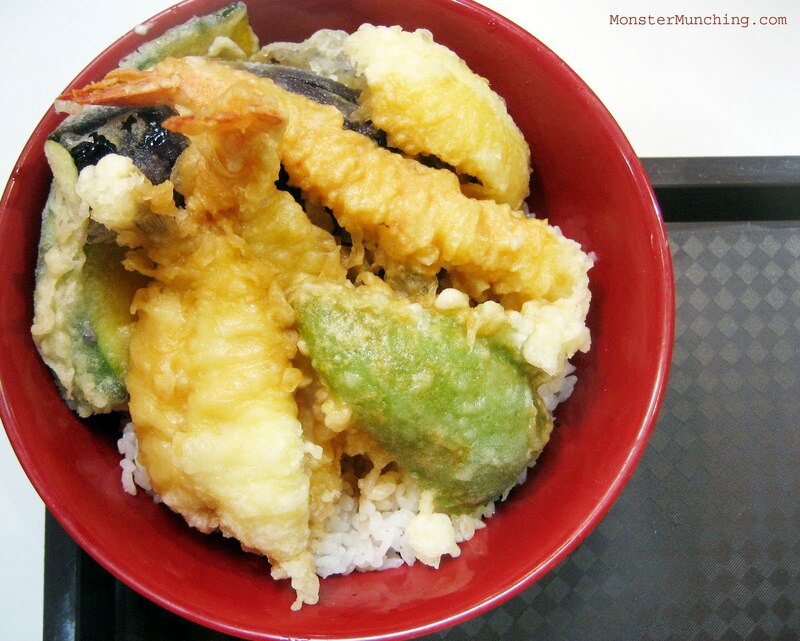 It is a bowl of rice with tempura'd veggies and seafood laid on top. Simple, yes. But also unexpectedly great and I would argue, better than anything else they've got on offer. The tempura that coats the fish, shrimp, squid, eggplant, squash and bell pepper straddles the line between crisp and soggy as the whole thing is doused and pre-soaked in the dashi-based sauce you normally dip your pieces in. Pre-assembled and resting on pristine pile of rice like this, the bowl takes on a special resonance I can't put my finger on. It must be the way the richness and decadence of the deep fried foods edges itself closer and closer to cloying. But then, when it is just about to get sickening, it gets pulled back by a mouthful of rice. It's kind of like a relationship between opposites. One person might be impetuous but fun; the other conservative but grounded. That's what I equate this bowl as. And I hope it will be just as good the next time I have it. Thank goodness there is still ramen. I've missed out on a lot since I've moved from Ca. It's nice to see how there are new vendors at Mitsuwa now. On my last visit I saw plenty of people eating food from both Don Don Tei and Sanukiseimen Mugimaru. I would think they have the same employers since even the logos look similar in terms of font/design! And Sanukiseimen Mugimaru has a wide variety of tempura for sale. Personally I like the curry rice at Sanukiseimen Mugimaru, but some say the curry beef udon is good too. I don't find how they heat up the bowls very sanitary though. Yes, if Santoka ever went away, we'd see the death of that food court! Wut!? Thanks for the tip off! Although I'd rather be one of the billionaires the article was about than famous! HAHA!